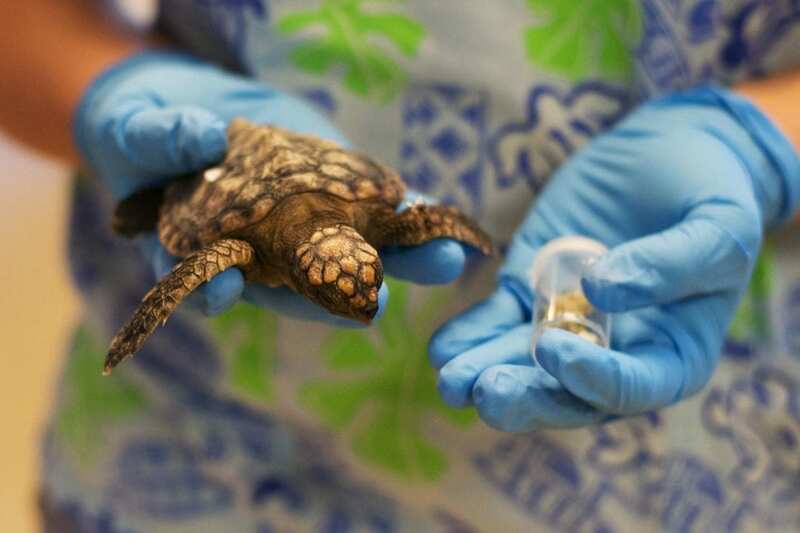 Athens, Ga. – Ingestion of degrading ocean plastics likely poses a substantial risk to the survival of post-hatchling sea turtles because the particles can lead to blockages and nutritional deficiencies, according to new research from Loggerhead Marinelife Center and the University of Georgia. This puts the survival of all sea turtle populations at risk, because sea turtles may take decades to become sexually mature. The study also suggests that micronizing plastics could have tremendous negative implications for the ocean's food web.